Duchess Kate: It's India for Royal Tour Spring 2016, A Busy Week Ahead for Kate & Azuni Giveaway Winner! 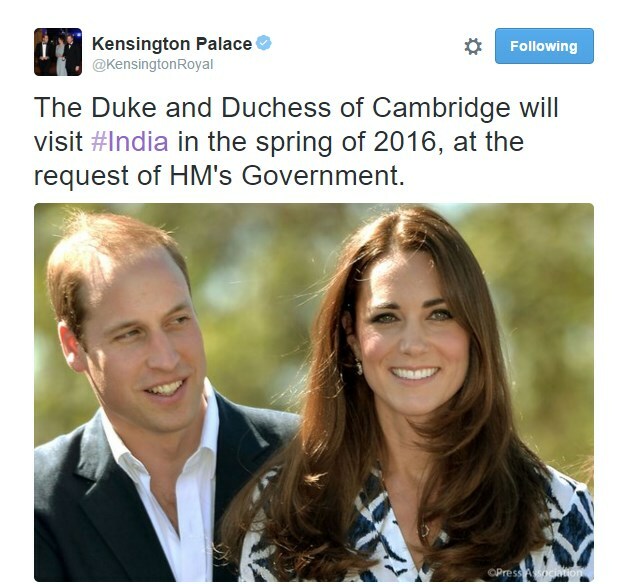 It's India for Royal Tour Spring 2016, A Busy Week Ahead for Kate & Azuni Giveaway Winner! What better way to begin the weekend than with the announcement the Duke and Duchess of Cambridge are set to undertake a royal tour of India in spring 2016! There had been reports of a spring tour for months now, with the Caribbean suggested as the chosen destination, but it's been revealed the couple will take the trip to India at the request of the government. It will be the first time either William or Kate have visited the country, and while it is understood the tour is in the very early stages of planning, it seemed an appropriate time to announce it while the Indian prime minister, Narenda Modi, is in the UK. 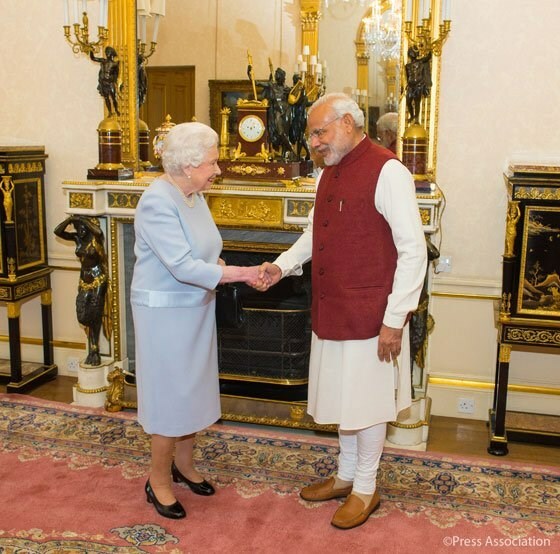 Below we see the Queen welcoming Mr Modi at Buckingham Palace earlier today. 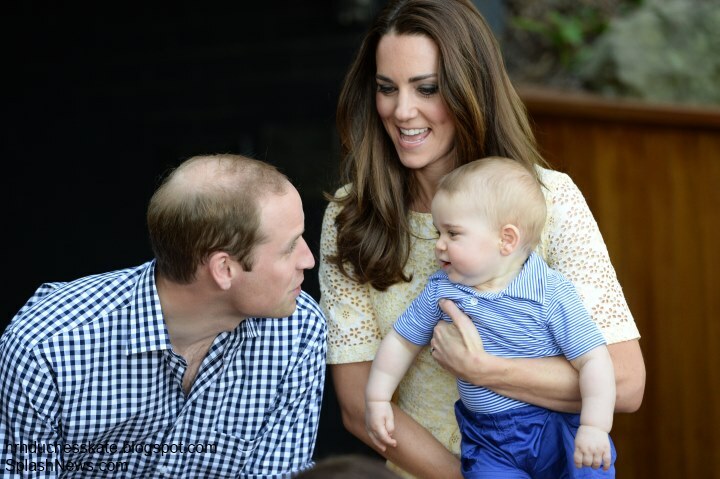 'It is understood William and Kate feel this tour would prove too gruelling for the youngsters, particularly Charlotte who won’t even be a year old. Instead the children will remain in the UK with their nanny, Maria Borallo, and maternal grandparents, Michael and Carole Middleton. It is another opportunity for the Cambridges to showcase their skills as ambassadors representing Her Majesty and the United Kingdom abroad. Their previous tours have included Canada, South-East Asia, Australia and New Zealand, with brief trips to Los Angeles and New York, and all have been very successful. Their last tour was in spring 2014 when the couple, joined by an adorable Prince George, toured Australia and New Zealand. Royal tours to India have proved extremely interesting over the decades. We have many readers who will recall Prince Charles and Princess Diana's visit in 1992 which resulted in the iconic image of Diana at the Taj Mahal. Looking back through photos of that tour, it gives us a glimpse into possibilities for William and Kate's tour, which royal aides are no doubt carefully planning at the moment. Another unforgettable part of Charles and Diana's tour was the late princess's visit to Mother Teresa's hospice in Calcutta. Diana was glamorous in a dazzling Catherine Walker evening gown and the Spencer tiara for a banquet hosted by the Indian vice-president. I expect we'll see William and Kate attending a banquet over the course of their stay. It was a very memorable tour. Her Majesty during the royal tour of India in 1961. The Countess of Wessex poses with schoolchildren during a 2013 visit. Also tonight, the Duchess has several engagements next week. 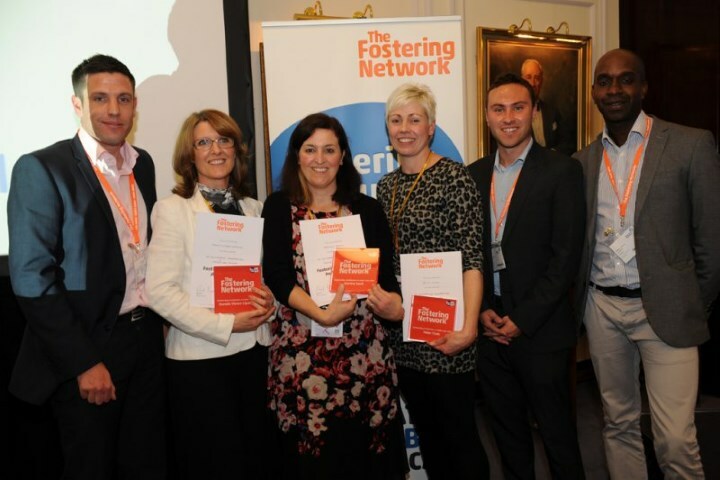 As you know, on Tuesday 17th November, Kate will attend the Fostering Network's annual Fostering Excellence Awards. Below, we see a photo from last year's awards. I expect we'll see the Duchess in a knee-length dress for the evening. On Wednesday, 18 November Kate will attend the Place2Be headteacher conference in London. The conference entitled "My head is too full" will include presentations from headteachers working in some of the most disadvantaged parts of the UK, alongside leading experts in child psychology and those involved in M-PACT Plus, a joint programme between Place2Be and Action on Addiction (funded by the Royal Foundation and Comic Relief) to support families dealing with the hidden harm of drug or alcohol addiction. Earlier today, Kensington Palace announced the Duke and Duchess will carry out five engagements in North Wales on Friday, 20 November focusing on mental health and wellbeing. Caernarfon will be their first location of the day where Their Royal Highnesses will visit a photography project run by the local Mind organisation. The project has been designed to give young people a voice to talk about their experiences and the challenges of living with mental health problems. 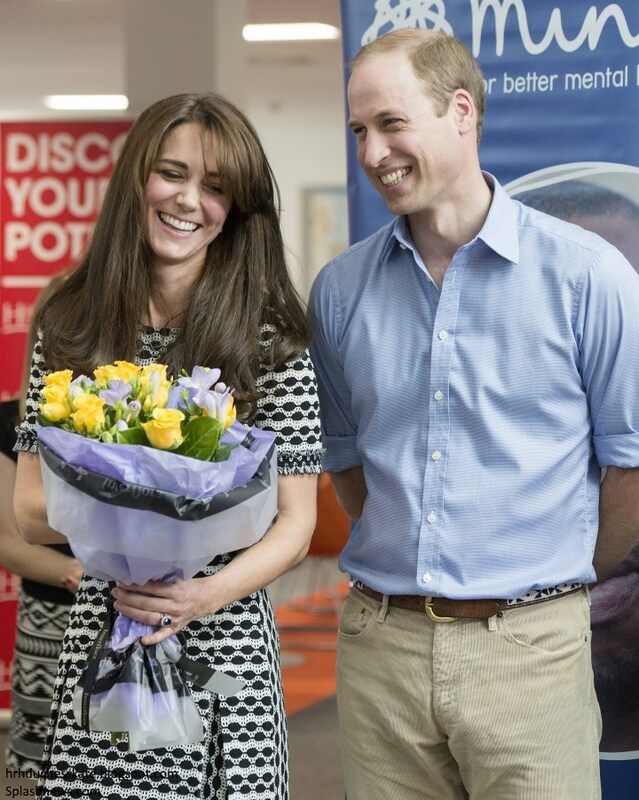 You will recall William and Kate marked World Mental Health Day at an event hosted by Mind. They will then visit GISDA, a charity that provides support and accommodation for homeless young people. This is an issue the Palace said William feels particularly close to through his work with patronage Centrepoint. 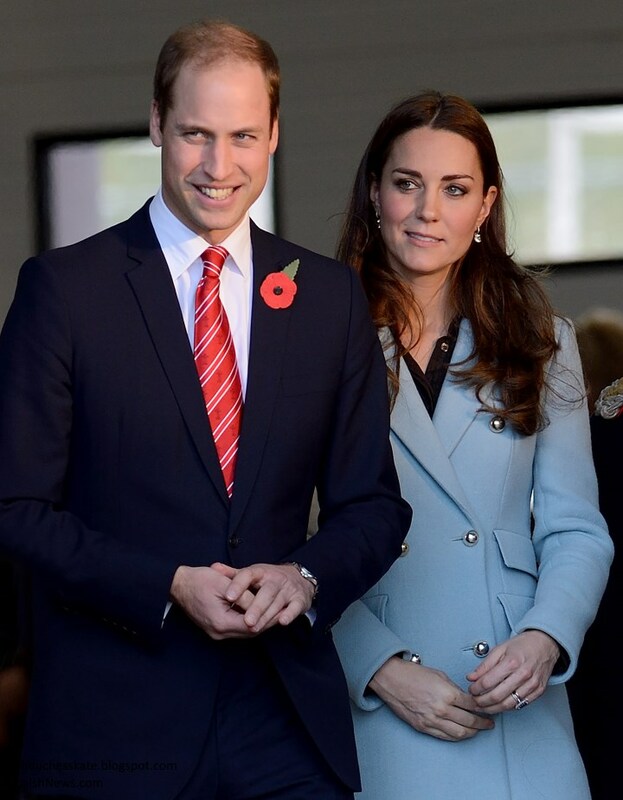 'The Duke and Duchess will visit an exhibition of "Mute: are you being heard?" This is a photography project run by Ynys Môn and Gwynedd local Mind organisation. It is designed to give young people a voice to talk about their experiences living with mental health problems. Afterwards, William and Kate will visit an Outdoor Education centre in Snowdonia. The day will conclude when the couple meet men from the Vale of Clwyd Mind Men's Shed project in Denbigh and are guided through a series of activities, centred on the theme of 'mindfulness'. They will visit the Peace Garden that has been developed by the project and will be shown a wood work session. Finally, they will meet men involved in the development of a new sensory garden plot. It's very encouraging to see the continued focus on mental health and, of course, Wales holds a very special place in William and Kate's hearts. This was referenced today by Kensington Palace who said: "The Duke and Duchess, who spent a number of years living in Anglesey, are delighted to be returning to North Wales for a day of official engagements." Scrolling down this blog, when I reached Princess Diana's image in front of The Taj Mahal, I got this strange feeling /it had been a long time since I saw that image. I saw it over the years, and felt a certain kind of silence. Well, Anon 15, she *was* sending a message. "Silent" and clear...? I am afraid I am responding with a long "essay" to your very economical message which is yet packed with thought provoking one sentence. Well, I post it, however long, even if not read. In more ways than one, yes. It is all there in the back drop of a vast, one of the seven great wonders of the world’s historical places, and yet no other human being near and around her in that image. It is ironic we can be among people and feel lonely inside; we can be silent and be among people as well. A good poet who understands a certain measure of depth and width of the world, can come up with an everlasting poem/or lyric for a song looking at that image. First a poem, then a good singer can write a lyric version for a song. I think even what Elton John did in 1997 was, “Good bye England’s Rose… Like the candle in the wind...” was based on a former melody with words changed (if I remember correctly). Her own bearing has somehow blended even against that magnitude. I am among those people who see the human side of Diana as any young girl/woman/human being who happened to be born to aristocracy and got into an arranged life which included her joyous acceptance of it with love for the husband (that is typical of especially old government systems. Power and linage is protected and strengthened by inter-marriage). In many ways, her brother’s eulogy was a success because he put it realistically with his brilliant perception of truth. Still to be included in her accomplishment, achievements, destiny, character, luck, and misfortune is, there was something she was gifted naturally as much as there was a struggle and challenge she had to win over/overcome. In all, she is a very unique and interesting person. Some people have to come to a certain stage, spot light or similar occurrence to reveal/exercise the gift they were granted by destiny. It is as if the door was pre opened for them in their future, and the stage was set as a message/oracle/dream, also designed by purpose and destiny. It does not necessarily mean their very own actions and humanly independent effort, experience, thoughts and choices does not play a role on that star. It can brighten it, dim and/or deem it. I am not being judgmental at all. Diana belong with one of those larger than life group of people, and they can be an interesting study. With that being said, I am curious to see what will be on the agenda for the Duke and Duchess. India is such a beautiful country which is so full of history and culture but is still well below the poverty level. Nevertheless, I thoroughly enjoyed my visit there in 2004 being an Indian South African myself. It would be great to see Catherine in a punjabi or a sari :) Fingers crossed! I do agree, Anon 15. Diana was larger than life. The words gifted, destiny, luck, misfortune, tragic, achievements, compassion, human, empathy (and more) all apply to her. And while this also served to highlight the shortcomings of the Firm on many levels, she offered them more than enough to make up for what was lacking. Unfortunately, they resented her for it rather than embracing this young woman and what she had to offer. Despite their reaction to her, she did have an enormously positive impact, as evidenced by the response, worldwide, to her death. Regarding the eulogy, I cheered Earl Spencer then, and I still believe he said exactly what needed to be said. To this day, a signed copy of it is a treasured possession. And to those who believe it was "not the place" (valid observation under *normal* circumstances), I would ask, and WHEN? It needed to be said. Diana's hopes/vision continue with William and Harry. AMEN. I believe Kate has her own unique qualities and gifts. And, like Diana, she came along and offers William, and the Firm, exactly what he/they need. Fortunately, HE appears to recognize it and loves her in return. This chapter is destined to be much happier and successful since they are a team rather than adversaries. anon 15 and royalfan-poetic and thoughtful remarks. should have been with her, but was off doing something else, leaving her alone. I noticed that also 15. The Queen high on the elephant and Diana stooping to comfort the young and the frail. Just out of curiosity 15, what country are you from? I love "talking" with people from all around the world. It is truly amazing. I often mention to my family at dinner etc., "Oh, I was speaking to a woman in Sweden today (Rebecca, :))," or I was speaking to a woman in Bavaria, London, India, Africa.......you get the idea. (My family just looks at me like "That's nice dear" as they go about their business. lol. I, myself, am from San Diego. Diana was so very charismatic. It even shows just in her photos alone. To think of all the help she sought but never found is astounding. Particularly when you consider how much she was still able to hold it together and carry on, and not in a shy way, but very cleverly in history changing ways. Quite a phenomenon. William and Harry "get it" and all the nuances of it. William has definitely "learned from the mistakes made in the past", as he said he was trying to do. Kate was made just for him and vica-versa in my opinion. photo at the Tajma Hall (sp) by taking a photo of the two of them there. If they could casually, but sweetly embrace, (kinda like at the sports event), that would be perfect and write the better chapter of the previous Diana photo op. Kate has a history of "staging" new photos to mimic previous family photos, so maybe they will. Earl Spenser's eulogy could not have been anything else or it would have seemed ridiculous. I agree. He had to call out the elephant in the room and he did so simply and eloquently. It took a lot of chutzpah to do that. I doubt there is any day that goes by that he isn't glad that he did what he did. Anons 3:33 and 23:46, I have wondered about a potential Taj Mahal photo op... Although it would be a normal and expected moment to capture, it would also remind people of the past and I suspect that Charles (and those near and dear) would not appreciate it. Anons 23:38 and 23:50, I agree with every word you have written. Your conclusion nailed it; the very last sentence is what gave a lot of people some closure with refreshed hope and joy. When such closure takes place on world stage, it also visits into people’s personal lives that, it is an ongoing world with all its patterns, ups and downs, not all good, and not all good. Time matteers, and who ever said, “no experience is wasted, if the lesson is learnt” is right. Agreed Anon 15 @1:28. Lessons learned indeed. I will post my response to the question you asked after the discussion on this thread starts to phase out. should read, NOT ALL BAD, and NOT ALL GOOD. Your honesty and sharing it is appreciated. It is even better to know more people have shared the same opinion. They are making this historical visit in less than a year of welcoming Diana’s granddaughter who inherited her name as one of her own three names. In a way, the timing is interesting with some gratitude to the couple’s life up to this point. In this case what Charles and company, the media, people back home will think of photo op at exactly the same place will be irrelevant. You brought up an interesting point, however, without passing any judgement. Here is my take why any discontent by any one will be irrelevant. -It is a long journey especially for parents who have to leave their two kids who are less than three years old back home to the care of others. They should make the best of it. -Their visit is a response to an invitation by the PM of India. It is a foreign affairs-international diplomacy, and their very prominent host would love to have them be photographed in his country/people historical place. That will be to the benefit of good PR and history for both sides. -William by the very constitutional right of linage under the Constitutional Monarchy has reasonable right to exercise some matters independently as a future king, and someone who will be Prince of Wales. -As a mother of his son, has the birth right and choice to remember his mother in ways he chooses, and I am sure he is rational enough in the ways he will. -This is William’s destiny, not the father’s. The father has his own, and it had been good and bad. Charles definitely had been lucky to have his mother’s guidance through his 67 years and going on. He had the benefit of his own intellect, timing, and advantage of being the immediate off spring of The Queen/PW to have accomplished more than William had so far. He was disillusioned with love, found, lost, found, lost and rebound with love. William lost his mother at young age the way he did, but found a totally fulfilled one person love at young age. He should celebrate it, blending with the memory of his mother as he wishes. If anything, right where she sat there, if all four of The Cambridges can take a picture, it will be wonderful. I wish them to have a safe, happy and meaningful journey/visit. Anon 15, I sincerely hope that you are correct, and that my suspicion/assumption is incorrect. It *would* be nice to see the photo you describe. Your reasoning is well taken. Just the way you put it, it applies to many situations. One person’s real or perceived right can be another person’s discontent. May be that is why a reasonable compromise makes sense. This thread seems to phase out now. Lucky you to be living in such beautiful climate of San Diago. The country I come from has similar climate. I am from Ethiopia. For a long time, I had lived in Eastern USA. The spring can be brief, but that is when the climate feels agreeable for me. Autumn is beautiful. Just about every American I had asked over the years, “which season is your favorite of the four”, Again and again, different people of ages, gender and walks of life, say autumn is their favorite. We used to have snow hails in Ethiopia, but I never saw snow until I arrived in US., and I like it except the cold. By the way, the first country I lived in was UK/London in my mid- teens/just one whole summer. The double decker bus is memorable. I hope to visit San Diago. Thank you 15 for such a sweet response. nice that you have traveled like you have. What a blessing. If you visit San Diego, I know you will love it also. There is so much the area has to offer. Lots to do and see. :) Mexico is so very close, you could visit two countries in one day. Many visitors who have current passports do that. I have heard that Ethiopia is beautiful also. You are very welcome. In fact, I thank you for your legitimate curiosity, understanding, patience, and your prompt response. Now you have one more country to tell your family about. I agree San Diago has a lot to offer including being a University town. Yes Ethiopia is beautiful even with all her ups and downs; it had and still has its share of chaos. It had a monarchy system for as long as its existence until the last quarter of 20th century. The last 40 years, it sped through Socialism, military dictatorship, a sort of communism, and now, an experimental but highly controlled pseudo democracy. Post the military’s rule, trade and access to the country had been open to many countries. Many nationalities are travelling there now, especially with direct flight started to US, Ireland, and I think Korea too, the last few years. Many of them are investors. One of these days, I hope you will try Ethiopian coffee at Star Bucks or Whole food grocery café ( that is if you drink coffee at all/you can send me the bill). I enjoyed our exchange, and am now even much more interested in San Diago; and might have to go there. I think Mexico can be exotic too as its neighbor. lol. I don't drink coffee but often put coffee in chocolate when I am making cakes, Icing, or other desserts like tirimisu. There is a Starbucks not too far from here. If I remember, I will get an Ethopian coffee to use next time. I will then tell my family it is an Ethioian chocolate cake and that I got the idea from the Duchess Kate blog. :) I'm sure they will love the cake though. Royalfan and others, I agree and echo all your words and sentiments about Diana. Even 18 years later I find myself thinking what if it had all been different between her and Charles. Sigh. SO very thankful that William and Harry are determined to carry on her legacy. Anon 17:42, what a powerful observation with the Queen being high and elevated above the people while Diana was bending down to the ground touching a child. Very powerful and telling... For all the troubles Diana had, she was simply an amazing woman with a heart of gold and these pictures are a tiny glimpse of that. Really looking forward to seeing William and Kate together in India. I think they will be wonderful ambassadors. I got a good laugh. One thing is for sure, you are creative and take your own initiative in altering recipes to your taste. What is food for, unless we adjust it to our adventurous taste, especially when it comes to sweet / LOL. By the way tirimisu is a popular dessert available in some of the widely spreading Ethiopian cafes and restaurants in US. If you make it with coffee, it is a marriage of taste/coffee, easy commercial, branding and marketable. Ethiopian coffee-chocolate Cake! Yam! I can also imagine you figuring out popular California fruit to make fruit pies and tarts. Even better, come up with San Diago holiday treat. You had been a lot of fun especially during these confusingly traumatic times. Now my heart is not in San Francisco as the song goes. My heart is rather in San Diago. Parting is such a sweet sorrow. Indeed until tomorrow. From here on I will also think most good Anonymous on this blog might be you. and the belief of life after death. As William and Kate will visit India, there is a hope that they will have a "continued image" of Diana at the same place, at a different time. Life is continuity in name as in Shakespeare and/or generation as Diana’s dependents. She is now a grandmother. I love the KP Twitter Feed photo and the way it highlights Kate. It's sweet and modern! And I look forward to the tour, but I can appreciate the decision to leave the children at home this time. I have just heard about the terrible tragedy in Paris. Keeping all of our readers there in my thoughts and prayers. I second that Charlotte. Horrifying news. Thinking of everyone and their loved ones. YES, and likewise. I turned on CNN a short time ago and cannot believe what I am seeing. My apologies to Debby if my cheerful congrats (above) seemed inappropriate at this time. Prayers to all our readers from Paris and France. Our prayers need to go up daily to help circumvent these atrocities. Prayer is powerful. Prayer changes things. We need to pray like never before, and keep on praying diligently. Debbi and Theresa, hope you are safe. I was just watching the soccer game between France and Germany and cheering our team when the news broke. What a horrible tradgedy where so many innocent people lost their lives! Let's keep them in our prayers. Hello everyone and thanks so much for your condolences and congratulations!! Thanks God, I'm fine, as well as my family and friends. I feel so sorry for the victims of those awful terrors attack, and also thankful for the fact that the people I know well aren't injured, or worse. Thank you to everyone on here who's been asking about me and Theresa, it literally brought tears to my eyes when I read all your kind messages. Theresa, I hope you're fine, please let us all know. Again, thank you everyone for your prayers and thoughts, and thank you Charlotte for running such a lovely blog. You are one good person who deserves the gift, the fact that to reader’s relief, you posted your well being. I share many peoples relief you are ok, though commenters may not necessarily confirm after your post. It is encouraging the way French people are taking it. I listened to some of their interviews. It was almost consistent, they said, “We should not be afraid, if we do, the terrorists will be winning over this”. There are about three hundred people in the hospital: people, mostly French in the area formed a long line to give blood. If the world finally won over Hitler and the Nazi, it will win over ISIS too. It is a matter of time. May the departed rest in peace; survivors maintain in hope, find strength and healing. Thank you very much to Anon. at 02.29 and to Debby, from Paris, for your thoughts. And to all of you for your thoughts and prayers. Yes, I am fine. I was at home on Friday night. None of my close friends or family were killed or injured, but I know several people whose family and friends were casualties. It is a chilling war. A war of the XXIst century. We will fight it and freedom and democracy will win in the end, but we must be prepared for a long and difficult battle. With love to all the blog community around Charlotte !!! I am on line and read the news between surfing seconds ago trying to read Rebecca's/journalist's report on W&K's trip. Syria in the morning, relief; now this in Paris, why? co relation?. I was just telling a family member, "What had the world come to?". This Blog might be an all round fun and inspiring place, but at the same time, it is comforting to know how considerate you / Admin-Charlotte are for the world around you. Oh yes, this is an International Blog commenters web site. How can I forget. Yes, so many countries here, yes different nationalities. My deepest condolences to the families who have lost loved ones in Paris and to your country. My thoughts and prayers are with you. Charlotte lovely post! India how wonderful. Congratulations to Debby in Paris! Kate would look lovely in a sari! My family is from India and I have always wanted to make a dress out of a sari, they way kate did in Malaysia. If she dies not wear a sari in its traditional form, I imagine there will be a cutom made dress. Charlotte, unfortunately these people who have no respect for humanity have done this when someone precious like you always wants to bring joy to others..
Rest safely and well all my dear Duchess Kate bloggers and especially those in France. Thinking of everyone in Paris and especially those impacted directly by these terrible events. Hope all our French friends here are safe & have family & friends to support them. Wonderful French spirit in the porteouverte# that's trending on Twitter. In the spirit of solidarity it's just been announced that the French flag will fly on Sydney Harbour bridge & the sails of the Opera House will be lit in red, white & blue. Wonderful news about the tour to India. Historically there are deep connections between the RF & India. In the current world context India & China are the two economic powerhouses so this is an important tour. Kudos to William & Kate for continuing their focus on mental health issues & vulnerable young people. They're using their star power to lend support & confront stereotypes & cross fingers it'll make a real difference. This certainly is a powerhouse tour Blue Wren. Speaks volumes that William and Kate are given the task. Just want to send my prayers out to everyone who is in Paris. Will be keeping you in my thoughts. In the words of the late Maya Angelou..
"You will face many defeats in your life, but never let yourself be defeated". Did I say, read the news? Actually, I skimmed it all from the picture, read the head line, felt sharply awful and "run away". Yes, might be shamefully, but, I had to escape. This morning was absorbed with the memory and refreshed stories of Jihad John. I just had to postpone reading the details of this one this evening. Sometimes it is too much. The reason I went to dailymail was to find Rebecca's report on the trip to India, I continued searching it on that web site, returned to this blog. Luckily, Charlotte had posted the condolence message, some how, I found comfort where I did not expect it. It makes you realize how much people who acknowledge similar feelings are very important in times of tragedy and fear. I am sorry, I don't mean to take up this blog with "world news that just came out", while the emotion is raw, and should be taken a break. It is out of the control of most of us here, and I hope and wish the discussion will return to the Blog's subject matter. Condolences matter, and choice of reaction is understandable. Such tragedies catch on to affect most of the world in one form or another, just simply the repetitive irrational violation on human life acted by terrorism. There are so many people to be comforted and prayed for today, God bless you for understanding, and including me among them. I should join you in your strength to comfort and understand others. Faith can be sustaining and prayer comforts with hope. I will continue with prayers. Thank you very much. Xo in peace. Sending thoughts to Paris and hoping that Debby is okay and will check in soon. I am sure that the Royal planners are mulling over this latest series of events. The Royals never cancel things because of fear but it does send a shiver down the spine for everyone traveling and attending events in crowded venues. Oh yes, the winner is from Paris. What a coincidence. 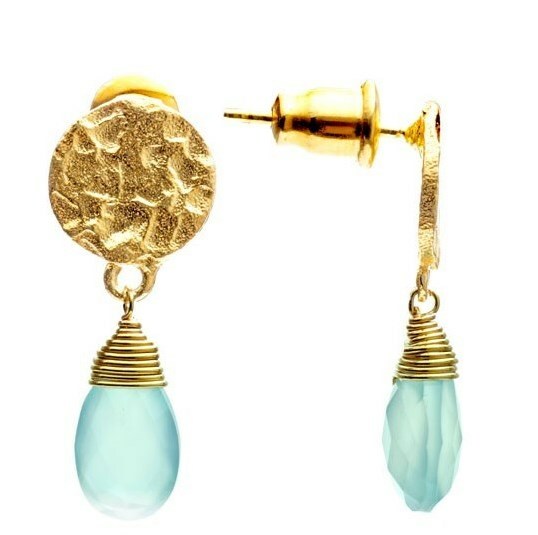 May the Athena earrings become your good luck charm. Athena, a favorite Greek goddess, also known for her strength. Stay well, strong and go on. Life still must go on. I also thought of Debby immediately. My deepest condolences to the French people and the families of those who have been killed. Something like this must never happen again. Yes, are you both and all others ok? Thank you very much guys, as I said above, you brought tears to my eyes!! Yes, thanks God, I'm fine, and so is my family and friends. Thanks again for your concern, sending lots of love!! SO glad (and relieved) to hear from you Debby. Thankful you and yours are safe. My prayers are with you and your country. Stay strong. Stay vigilant. Theresa, please let us know how you are doing? Thank you so much for your thoughts ! Yes, I am safe. So are my close friends and family, but I do know friends who have lost loved ones. Thoughts and prayers to all those victims of this terrible war of terrorism we are now living. Oh my!!!! I just awoke briefly and thought I'd see if Charlotte had put the new post up. I had no idea what was happening. We'd gone to bed early without a glance at the news. My thoughts and prayers to all concerned - Debby and all our French readers. This is beyond belief. It is good you are back to the Blog. Sam Cameron can pass for an Indian from the Southern region. The Sari agreed her so much, I could not believe it. It was like a duck to water. Praying for all our Paris friends. Such a sad world. We in the western world must be mindful of those who wish us harm. I don't know where we are all headed, but I'm grateful for this chance to escape the world's sadness with Charlotte's blog. Look forward to all the events the Duchess will be attending. I agree tedi! While my thoughts are with the people affected, I am thankful for this little oas! I am glad that someone from Paris won the earrings. God bless. as a French, I thank all of you for your thoughts and prayers. I do enjoy reading this very good blog, and all your kind words will be one more reason for that ! thank you again, and let's stick all together to our will of leading our lifes freely and helping those who can't in their own country to do so ! I greatly admire President Hollande's response to the situation. He is not afraid to call a spade a spade and act accordingly. We cannot succeed against evil if we are drowning in our own political correctness. So sad about Paris and her people. I couldn't figure out how to express what I thought about the India trip last night, but today I can. William and Kate have a lifetime of service ahead of them. I don't think a trip like this is reasonable while they have two small children. to make everyone uneasy wherever we go, whatever we do. a new kind of warfare. their intent is to rule the world and to eliminate anyone who does not agree with them. that is their agenda. they believe they have a mandate to do that. the good news is, light always overcomes darkness. good always triumphs over evil. evil only prevails when good people do nothing to resist. so activate good. stay alert (not scared) and pray daily like you have never prayed before and keep praying. prayer changes things. Your thoughts brought me to tears. It is at essence a spiritual battle. They do believe that they have a mandate to kill every "infidel" ("unbeliever") worldwide, and take the world for their "God". Prayer is the ultimate weapon against all that. I pray everyone reading this gets the revelation of the urgency and intensity of our responsibility in stopping them in their tracks. Whether we are used to it or not, we must be diligent, vigilant, and consistent in our prayers. It is our very real first line of defense, not just a one time emotional response. WOW is right. AMEN to your amazing call to prayer. I will. And, thank you for the clarion call. WWI WWII etc., would never have been won without prayer. Key battles were miraculously won because the Generals prayed. General Patton is just one example and look how many infantrymen he was responsible for. Some amazing miracles if you research it. Yes my heart is heavy with sadness over thjs horrible event in Paris. I am glad to.see the Cambridges focusing on mental health. It is desperately needed and hopefully the effects of their efforts will reach beyond the borders of the UK. Thoughts and prayers go out to all of Paris especially all the families that will be devastated by the thoughtless and cowardly acts completed yesterday. I can already tell from the news that it is having the opposite effect and bring France and the world together to fight terrorism. It feels weird to be excited about a tour at this time but I am looking forward to it. I would love to go to India but sadly will never go due to health considerations. When a friend went to India from the US, there were several vaccines he had to receive and maybe this is another consideration for not taking Charlotte/George along with the amount/length of travel as well. It's not wierd! We need happiness, excitement and hope! So celebrate all we can! :) I am looking very much forward to the tour! I agree that the kids will have it better at home even if it might be harder for the Duke and Duchess! Thank you, Charlotte, for something to take our minds from the unspeakable atrocities committed by terrorists in Paris. I pray for all French today and hope they know that we here in the U. S. are shocked and angered and saddened by this stupidity. I'm glad to read of more dates for Kate and for K/W leading the way in shining a light on homelessness and mental health. William's mother taught him well, and I believe that Kate's parents must have taught her well, too. Looking forward to the tour in the fall. First, love, concern and prayers to Paris and the French Nation! I know you'll overcome this and inspire us with your response. At some point soon, let's also try to understand why misled and misguided people would do such a horrible thing. This is never to excuse them in any way but to work to offer anyone who might be tempted to join them an alternative that is a better answer. Forces of chaos and evil will always try to use the easily persuaded, the attention seekers and the desperate to achieve their ends. We all can work to increase understanding and the achievement of justice for all affected. On a much happier note-is anyone else noticing a pattern: Cambridge tour, then a baby (South East Asia and Prince George), Cambridge tour, then a baby (Australia/N.Z., then Princess Charlotte)? Might there be another addition to the Royal family planned for after the India tour? I don't want to start ridiculous speculation but Kate seems to want more children and clearly, given her pregnancy health issues and the intricacies of their schedules, some measure of planning must have to go into it. Maybe the work and dazzle of a big tour clears the slate for the "disappearances" from the public realm required to have another child. Another baby would be exciting! I don't recall the trip to New York last December being several days, as indicated in the article. Another child would be lovely. Kate could very easily have twins, as her paternal grandmother, Valerie, was a twin. France's problem is everyone's problem, (not to speak bad things forth though), the jihadists are after global takeover. Thoughts and prayers to everyone affected by the terrorist attack in Paris. Opened the site this morning with heavy heart for Paris, and hoping for something to bring a smile. I am grateful Charlotte runs such a wonderful blog and that it has attracted such a worldwide audience of intelligent, witty, caring readers. I had immediately thought of our paris friends and blog followers and do hope everyone is safe. I am grateful for all of the hours of happiness, joy, and connection this blog has given me in the 2 plus years I have followed it. Its like gathering at a coffee shop with a bunch of dear friends and sharing an hour or two. On days like today that seems all the more special. Hugs and prayers to all....comments on this important trip the Cambridges are undertaking to India (and more November engagements bravo) are for another day. Ariagurl. As hundreds of mourners gathered outside Paris' #Bataclan, where a terrorist attack at an Eagles Of Death Metal concert left 118 people dead, a musician set up a piano outside the venue and performed John Lennon's "Imagine". Amazing. I so admire the spirit. The mayor of Paris just stated that he has no indication that the threat of terrorism there is over. bold words for a politician. no sugar coating or appeasing so he must have information not available to the public. please pray. I have no adequate words to say to bring comfort. But I just want to echo others that I am saddened by what happened in Paris and I am praying for peace. Debbey, I am so glad you are ok. I'm glad you won the jewelry and that it will bring some sense of comfort to you from all of us here. Theresa, are you ok? I will scour the comments to see if I missed you saying you are. I saw a meaningful quote on Instagram yesterday that said something to the effect of, "When terrible things happen, look for the helpers. They are always there." Thank you so much for your kind thoughts, yes, I am safe. Thoughts and prayers to all the victims. How nice to hear from you, and a relief to many on this blog. Try to stay safe. Wishing you the strength, and the winning attitude over this mess. Please pray is a good reminder. We have short memories in this fast moving world of our lives. Of the eight who carried these evil atrocities, seven of them are dead of their own “suicide”; the eighth was killed by police. Their connection "cell" is in Belgium, and authorities are closely following there including some arrest. It is awful one of the eight was of French national. It seems well preplanned, a native coordinating with the rest of them. I believe there could be lingering some others in the shadows. Another sad irony is, at a time thousands of refugees are flocking to parts of Europe out of a critical need, one of them had a Syria refugee passport retrieved from his dead body. They are just contaminating world's affairs including people of their own countries. It is such a blessing to feel the solidarity and comfort we readers give each other during times of trouble. I cannot adequately express my appreciation for everyone's kindness to each other. I,too, want to express my condolences to Parisians, France and our European friends out there who are feeling scared and apprehensive. All I can say is "Vive La France!" and all she stands for. On a more mundane level, I am excited to hear about the tour to India. Kate may thrill us with a tiara appearance or two. I expect to see some visits to hospices as part of her itinerary. I also expect William to attend some sort of wild animal conservation projects as well. Kate may also take some personal photos of her time there- she'll find lots to see and capture through her camera lens. I also picked up on an article out there (I think it was the Express), that stated Kate may be making more speeches for her charities. Can't wait to see/hear that too. I think having two small children has really made Kate feel more empowered to use her position to the fullest. I think it will be an eventful 2016 for the Cambridges! I wonder if it might be a tiara event as well :) In NZ/AUS they got home most nights to put George to bed but without the kids I expect it to be more evening events. So even if it's no tiara I expect a gown of some sort! Maybe even sari inspired! I agree that William probably will do some conservation work. It fits very nicely! I heard on this blog that one traveling to India must first receive certain immunizations, etc. Don't know, haven't researched that. Might be a reason to leave the children at home though. Camilla Tominey is a pretty reliable source and does not usually write for the sake of writing. She also usually does not mind pulling punches and states things as she sees them. Yeah, exactly anon 22.09. That plus the heat. Anon 23.03: I'm not saying it's false. Just that I'm waiting to celebrate or pass judgement until stuff actually happens. I read all the posts here but was too much overwhelmed by French news, it was impossible for me to write anything. Then I decided that I wanted to join you all, I am not able to pray but I am here with my mind, all the time. Those terrible attacks show how far a mental illness can bring people. Those killers are insane, they have a misleading and distorted view of humans priorities and humans relationships, they are projecting outside of themselves something just lying in the deepest nook of their soul. Paola, mental illness or indoctrination? Always happy to hear your sincere and thoughtful remarks, Paola. silent and apparently silenced some whose voice is often all too loud. forums can be a seed of intolerance and anger and ultimately, terrorism. Thoughts of Diana come easily with this new tragedy in Paris-not to equate the two. at least a microcosm of our world. In the comments above, we see a glimpse of the possibilities. 1820, I find the assumptions in your comment to be in poor taste just about everywhere -- except your comments about Paola. Agree there. But internet "bullying" in forums leads to terrorism? That is one of the more breathtaking statements I've read here, and that's saying a lot. If your interest is in uniting people, you might want to consider restating your comment and removing the snide asides. I'm appalled by your apparent insensitivity and self serving attitude. I seem to understand what 3:33@18:20 is saying. A lot of potential terrorists are recruited on the internet; some innocent, others disgruntled, the rest national/religion affiliation. Bullying against people like ISIS and/or sympathizers can also result in a gradual radicalization. Just a reminder that, beside a misconstrued fanaticism about “Islam”, their other cause is, “don’t touch our people.” Somehow, their own fellow citizens had become so affected, it is an unfortunate “ideology” gone haywire, and wrong in every way for all concerned. That was exactly what I had been thinking. Mental illness is such a blanket term. The real mental illness and the major ones have their bio-chemical, cellular, nerves, and trauma basis. The cause of such disease which affects their lives is out of the control of the patients in the majority of the cases. You may posture as much as you like, marg. I don't call names. I think that honor goes to you. And I think you are so wrong on just about every level that it's a total waste of time talking with you. I made my point and it stands. This is also not the place for a discussion as to the roots of terrorism. Mental illness can be caused by traumas, and being bullied is a trauma. There are traumas people can bear personally and there are traumas causing a sort of "social desease" which is an illness as well. It's a social illness, and you can see macroscopic results in communities (I am thinking to south Italy as an example, but there are a lot) that in past times (also a long, long time ago, what I mean is about former generations) had to bear violence, death, exploitation, and become unable to look at life with hope and confidence. Children pay for the sins of their parents: but also children bear the consequences of sins against their parents. When I think the way in south Italy people is often hopeless and doesn't believe that in a democracy the "State" is the people and not a dark power over them, I think that maybe we should consider it as a social disease. Royalfan, of course indoctrination is the key to explain what is happening with ISIS, but I think that indoctrination works when there is something wrong or ill in people being indoctrinate. Mental illness can be very difficult to detect, there are often very few exterior signs of it. Nor is it the place to call someone insensitive and self-serving. I didn't think that anything that 18:20/00:53 said was out of place at all or rude. And who is Marg? This is indeed the place to call the attitude behind a comment insensitive and self serving when a comment is both of those things. Apparently, I'm going back on my decision to not engage with you by saying this. Anonymous is such a lovely thing for those who don't stand behind what they say. mental illness in young people, causes of William and Catherine, make the topic even more relevant. Somehow, I don't think people here, as a whole, were moved to discuss fashion, "work," and speeches. I agree with Anon 7:09. I too did not think that the comments @18:20 and 00:53 were out of line or that they warranted the response. Agree or disagree with the comment/content, but don't attack someone personally for sharing their opinion. Isn't that what we've been told, repeatedly? Anon 15, yes, that is the distinction I was trying to make regarding mental illness and indoctrination. Paola, I do understand what you are saying. I guess it depends on how far back you want to go in finding a cause for something. If I see images of very young child witnessing all sorts of atrocities with adults cheering, I look at the child and feel terrible that this is their reality, but I do see it as indoctrination vs. mental illness. Tracing it back to the parent, yes, they too did not have a healthy upbringing and are teaching what they were taught. It's quite a debate to engage in, is it not....? They go by the parts of the Quran that say kill the infidels. It's religion, not indoctrination or mental illness. Religion is different from faith also. Study it out. tight and one of the royals needed to make an appearance. you. It almost seems like the UK is thumbing its nose at the terrorists. Yes Royalfan, it is a debate to engage in, maybe not here :) In fact I was just meditating about the charities W&K are bearing, and my conclusion was that they are very right and good. I am with you on the PTB observation; I assume it was/is intended to show conviction and support. But can you imagine living this life and being in Kate's position that evening (just as an example), with two little ones at home? No thank you. Paola, yes, they are very right and good. I do agree. My thoughts and prayers for the people affected and their families, the people of Paris and of France. I am of the opinion that Kate seems to be a very nice person but she has been lucky. She was born into a family who live a very comfortable life and has now married into royalty. She will never be in the intensely stressful situation of worrying about money to provide basic necessities. I don't feel sorry for her when the media intrude in her life or that of her family (within some reason), that level of interest is what pays for her luxurious lifestyle! However, I would hate to have to leave my two very small children for any length of time (it will surely be at least about a week), no matter how good the nanny is. Tours are work 24/7, especially while she is away from her children and I think that the people who criticize her for not working more should keep the duration of tours in mind. Kate has made no secret of the fact that the most important work to her is raising her children. She is lucky to be in a position to have a choice but I think she is correct. Those children will be under scrutiny and they need to be well adjusted and resilient to cope. She seems to be balancing very well the requirement that she makes public appearances with the raising of her children. Job, as is William. They certainly need their children to be perfectly adjusted and resilient to cope, more so than most. Tara, Kate's parents worked hard to get to where they are today. And the "intensely stressful situation of worrying about money" that is missing from her life is more than made up for by another form of intense stress... In this increasingly dangerous world, she and her family are public figures and, as such, are prime targets for all sort of madness. That too is the price of her luxurious lifestyle. Security is just one of the unique stresses Kate took on in joining the royal family. There are no doubt many more. Absolutely Royalfan and Anonymous, there are always positives and negatives in life but Kate is no worse off than anyone else and is alot better off than many! My point is that taking this into consideration, she does her job well, in my opinion. I am so excited about this tour. I am hoping to see a tiara but I am not counting on it. Sadly, it seems that there is less wearing of tiaras than there used to be, but I know the fashion will be great. Some Members of the Danish royal family went and laid flowers at the french embassy. I'm amazed other royal families didn't think of doing that. I think that would be something as a no brainer. King Felipe and Queen Letitia also did something similar. I thought it was a very appropriate gesture. Glad to hear the Danish royal family did something so poignant, too. The Danish couple (Joachim and Marie) probably did it sine Marie IS French. She was VERY moved. All the monarchs have sent messages and such. didn't know she was French Rebecca. Thanks. What a thoughtful, brave and sweet thing to do. Just chiming in on the tour and children... in my experience it's very difficult to leave your first, when the second comes along it's not as hard :) I think William & Kate may even look forward to a few days away together, though the fact that it's such a distance is a little harder, I admit. Also, I believe George and Charlotte would need some extra vaccinations before travel, W&K may as well, but the elderly and children have different recommendations. As far as more children, I wouldn't be surprised that if they want more, it will happen quickly. I think they understand that they only have a limited number of years while the Queen is alive to enjoy this less public lifestyle, and I imagine that's a very important factor to them. verbal remarks. I imagine there have been offers to help that were made via private channels. Just as various commenters here responded in their own words. I saw that article. Wonder if any of the reliable royal reporters think this is true? France is striking back, her potential massive attack had been striking Raqqa, a part of Syria, a strong hold of ISIS since recent times. That said, a well placed source has given an almost verbatim interview to several reporters over the years, starting after the engagement, yet it's rarely materialized. But the fact it was given again right before two scheduled engagements may mean she's going to give a speech at one of them. We'll see. If I were Kate I would be a bit embarrassed that someone has to actually speak up on my behalf and tell the world I am intelligent and I read scientific papers. These things are usually pretty self-evident and publicizing such things are likely to backfire. There is such a saying as "Thou doth protest too much". I am also of the camp that feels that she should do more, spin less. So should her office. Very nice thoughts. I agree with you Claudia, she is probably giving a speech at one of them. On the other I second Anon 21.27. It is silly to put out these articles. I think new pr guy keeps his eyes on many fronts, he always tries to tackle criticism wherever they come from. I remember howmany times we discussed her lack of speech giving. did kate and william live together in anglesey before their engagement? yes. They had already set up housekeeping together there. Yes they did. I believe they lived together for a few years. Yes they did. It became a topic of conversation, especially right before the wedding as the Archbishop of York supported their decision while other evangelical clergy were unhappy about it. I've always wondered what the Queen thought, but maybe did not verbally express. One thing is certain, times have definitely changed in the Royal family from Edward VIII abdicating the throne to marry a divorcee and Princess Margaret not being able to marry Peter Townsend. Neither Catherine nor William had been previously married. Nor Edward and Sophie. Personally, I think that the Queen is probably just happy that Kate & William and Edward & Sophie are in relationships that seem stable and will most likely be lasting. And I'd add that that most likely has got something to do with the fact that they were living together beforehand - they knew what they were getting into. But of course times have changed as well and today Princess Margaret would certainly be allowed to marry Peter Townsend. And that's a very good thing; theirs was such a sad love story. I certainly cannot speak for everyone in the United States but from my little corner of the south, please know that we feel the pain and sadness of our European friends in the wake of the Parisian tragedy. God bless you all. Prince William (President of the FA) will attend the England v France match at Wembley Tuesday. Peter Hunt reports he wasn't scheduled to be there but decided to attend "as an act of solidarity with the French people" --- no word if Kate will be with him. The FA is encouraging fans to sing La Marseillaise (along with God Save the Queen) and will show the words on the big screens. The crowd will also display the French flag - usually St. George's cross - and the organizer says they've never done another flag before, so it sounds like a tremendous show of solidarity indeed. THAT is huge. definitely makes a statement. Kate will be attending The Fostering Awards tomorrow evening and will be unable to go to the match for that reason. I don't know the exact timings of the awards but I imagine the two events may overlap. Thank you for the information Charlotte. It's one "where is Kate" discussion we don't need to have. The match is at 8pm local time (GMT) and The Fostering Awards are late afternoon let's say. She may very well pop up at the match if time allows, but I wouldn't read anything into it either way. I wouldn't be surprised if William himself wants her to stay home. I'm frankly a little surprised they announced his attendance this early. It is going to be a massive security undertaking, I'll certainly be thinking of everyone heading there. ok thanks! wasn't aware the awards thing was in the evening! Here is a thought to help unboggle your mind. 1. Kate will be at another event at that time. Amazing, in that I would want at least one parent home with the children for the next few weeks at least, even though they have ppo's. Just meant to add that it's worth remembering one of the terrorists in Paris had reportedly tried to get into the stadium 15 minutes before the match wearing a suicide vest packed with explosives and bolts, according to several outlets he was hoping to not just maim and kill with the initial explosion, but to provoke a deadly stampede. He was turned away at the gate so blew himself up outside. Actually, ONE week ago yesterday. Another engagement -or two- tomorrow. If I was William I would not want my wife there only because they have two small children. You never know with all this crap happening. William will have extra security I would think. Also William is very protective of his wife and children. For those you who are frightened and confused about what happened in Paris, there is a very nicely researched article by Graeme Wood of The Atlantic Monthly, 3/2015 issue, entitled "What Isis Wants" that can help you understand. Knowledge is power and it can help calm fears. I have studied these things for years and Mr. Wood sums up quite a lot of it up nicely and simply. I am hopeful it will help. THAT is an amazing article. I had heard so many different things and none of it seemed to make any sense to me and the opinions conflicted. THIS makes sense and is incredibly sourced. Thank you. I am sharing the article with my family and friends who have been as confused as I was. I have been busy trying to re-source the details on Mishy's asylum in Canada and the clandestine help availed to him by Jacqueline Kennedy to accomplish that. There is a Kennedy historian, Mr. Phil Katz, who worked in conjunction with Caroline Kennedy for at least five+ years, to replicate Jackie's Jewelry and make it available to the public through sales on television marketing channel QVC. What set this light years above their other Jewelry presentations was that, since Mr. Katz was working directly with Caroline Kennedy, he would present the Jewelry in it's historical and personal context, with photos and information provided by Caroline. The details he shared were amazing. The details of Jackie clandestinely helping Mishy to safely leave Russia were presented with the replica suite of Jewelry Mishy gave her as a token of his appreciation. I have asked QVC recently to bring those archive "history lessons" out again in boxed sets for purchase. I have yet to hear from them, but I will not give up. I, and many others, faithfully watched the presentations not only to see the beautiful and diverse Jewelry collection, but more to hear the fascinating history and personal information on the pieces. They exhausted her collection, having replicated just about every piece from her cache except for the pieces Caroine did not want to share. There are still four or five pieces still available on QVC and with those offerings there is a video of the previous sales presentation with Mr. Katz, to give you an idea of what I mean. I will still try to get the specifics about Mishy and a photo of the ensemble he gave her. It might take a small miracle, but I am motivated and I believe in miracles. All that direct history cannot and hopefully will not be lost. P.S. Since the collection sold out except for the four or five pieces still available, the webpage and information and videos of all the other pieces are no longer on QVC's website. I am certain they have archived them (I pray they have), but that doesn't really help very much except that they are hopefully safe. What a treasure trove of direct history. That was so kind of Caroline to do that and she shared things that one would never have expected to be shared. Not bad stuff. Just in-depth, behind the scenes, personal stuff directly from her daughter. Certainly not in any history books that I am aware of. First, as many have done in their comments above, my thoughts and prayers are with the people of France and those across the globe who lost loved ones in the senseless and sad acts last Friday. My hearts hurts for those who lost their lives. As horrid and horrible the actions of those men and the aftermath they left are, it brings to light the goodness in so many who have opened their hearts and hands to help. Praying for peace and healing. VERY excited to know Wills and Kate will be headed to India in the coming months. The pictures of Diana in India brought back a flood of memories, especially the infamous picture in front of the Taj Mahal. I would love to see William and Kate take a picture there, but I can only imagine the backlash Charles would have from that. Hmmm. I know William and Kate will be great ambassadors for the UK and HM. Really looking forward to hearing the details.